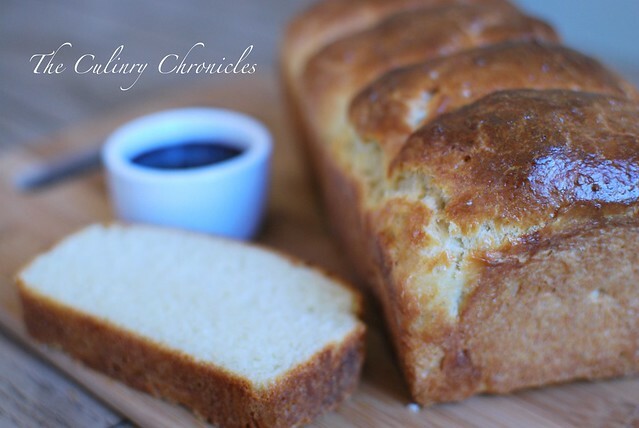 One pound of butter is in this brioche. Yep. You read correctly. One POUND! 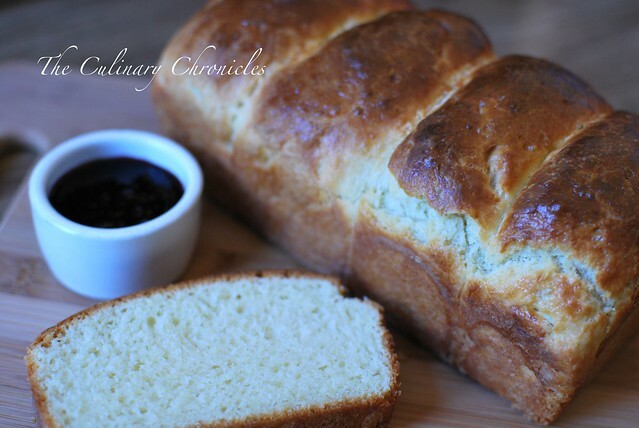 With the family together last weekend, I was inspired to bake up some brioche for a decadent morning bite. For the sponge and proofing time, you need to get this project started early on—in my case, the night before. We didn’t’ have those cute fluted brioche molds on hand and resorted to baking 2 loaves with the dough instead. Per my sis’ suggestion, I formed the brioche into 4 “logs” per pan to make “pull apart loaves”. You can find the recipe here. The brioche came out a lovely color with a great crust and beautiful crumb. However next time, I think I’ll add an additional tablespoon of granulated sugar into the dough for just a tad more sweetness. Serve warm with a bit of preserves (homemade olallieberry in our case) and a steaming cup of joe and you’ll be in a very happy place! Previous Post Toffee Caramel Cheesecake & a GIVEAWAY!!! Next Post Carrot-Carob Pupcakes with Peanut Butter Frosting….Happy Birthday Bella! Not wasted calories at all! … Bday for special gal? Is it my bday?! 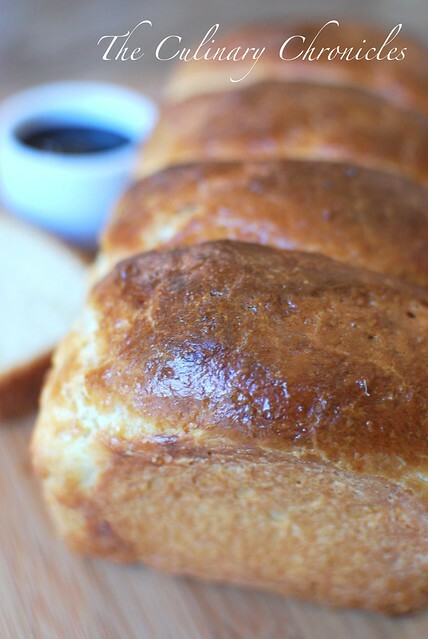 The brioche look so great. I love Peter’s recipe. I use his as references all the time :D.
Great looking bread! It’s amazing how much butter the dough can hold, isn’t it?